I went on a walk today. I wasn't looking for anything particular, just needed some fresh air. 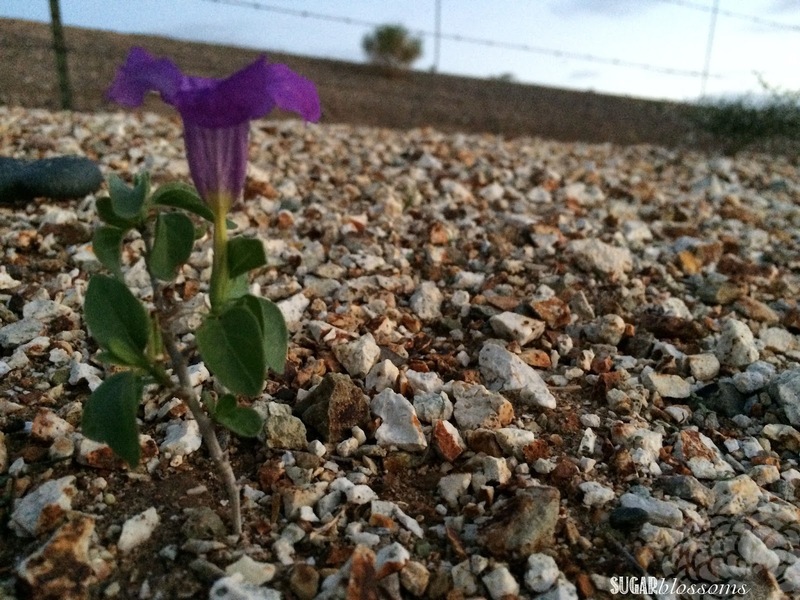 I saw a flower growing in some rocks and it felt familiar. I snapped a pic with my phone and kept walking. I was bummed when I saw that it's out of focus though. Nice clear rocks, fuzzy flower. "You're focusing on the wrong things." I started blogging to find and to share inspiration. I think I'm trying hard to be like other people. I stopped blogging because it's stressing me out. "Look how cute my house is because of my incredible DIY talents!" My house is usually a mess. I work full time and just want to veg out when I get home, not scrub toilets or make planters out of toilets. "Every meal I make is a picture-perfect masterpiece that my whole family loves!" I hate making dinner. It takes hours of work for 10 minutes of eating and it rarely pleases everyone. "Look how skinny I am because of my herculean efforts to change my life!" I'm tired. I want to sleep. And I ate potato chips for lunch yesterday. "Watching my little ones grow is so inspiring!" I have 3 teenage boys. And sometimes they smell. But I love them. My reality means trying to juggle work and kids and church callings and family outings and doctor appointments and panic attacks and allergy season. I feel like I don't have time to blog because it takes so much time. But I think I'm focusing on, and therefore blogging about, the wrong things. "I survived a social engagement" and "Well, that didn't work" posts. If that's your reality too, let's enjoy this ride together. How cute are these little big-eyed babies?! I love them! 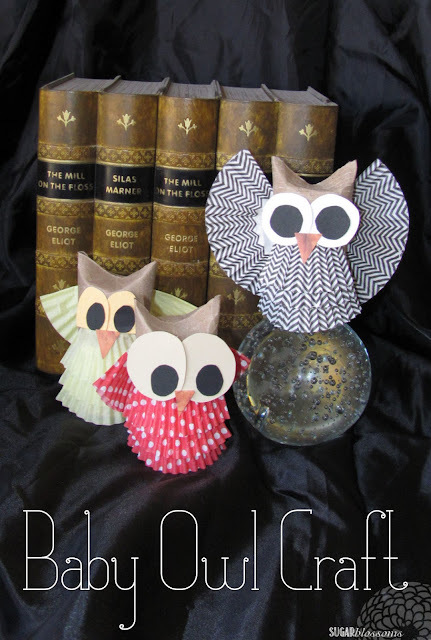 This simple Baby Owl Craft is an easy way to add a touch of autumn to your home. most of which are probably in your house right now! 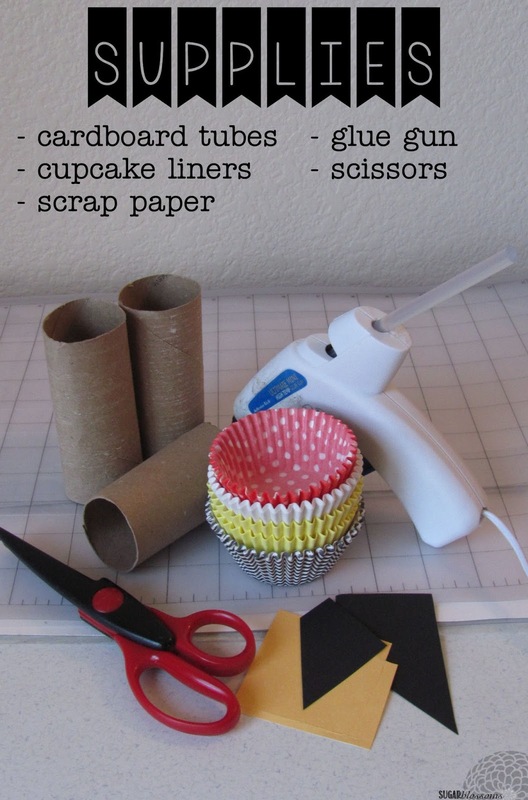 – cupcake liners (just 2 per owl). Wilton has some fresh and unique designs! 1- Start by folding in the top of the tube. 2- Add a drop of glue to one side to keep your fold in place. 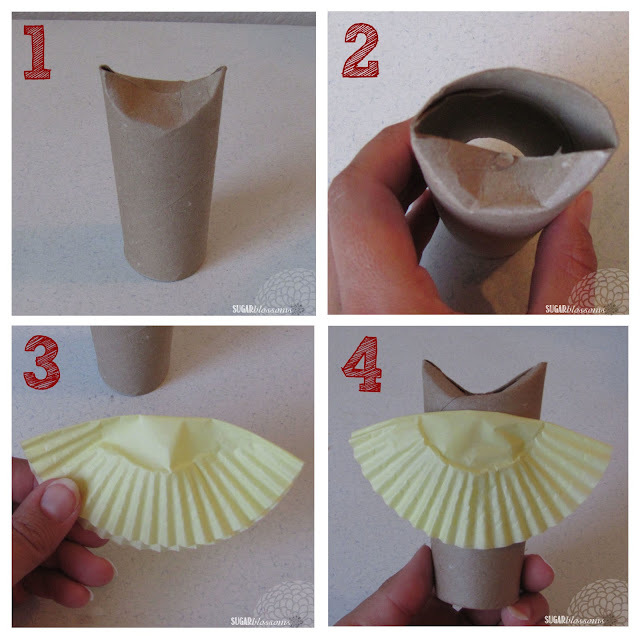 3- Fold 1 cupcake liner in half. 4- Glue it to the back of the tube to create the wings. 5- For outstretched wings, cut a cupcake liner in half. 6- Glue each half on the back of the tube at a slight angle. 7- Cut another cupcake liner into thirds. 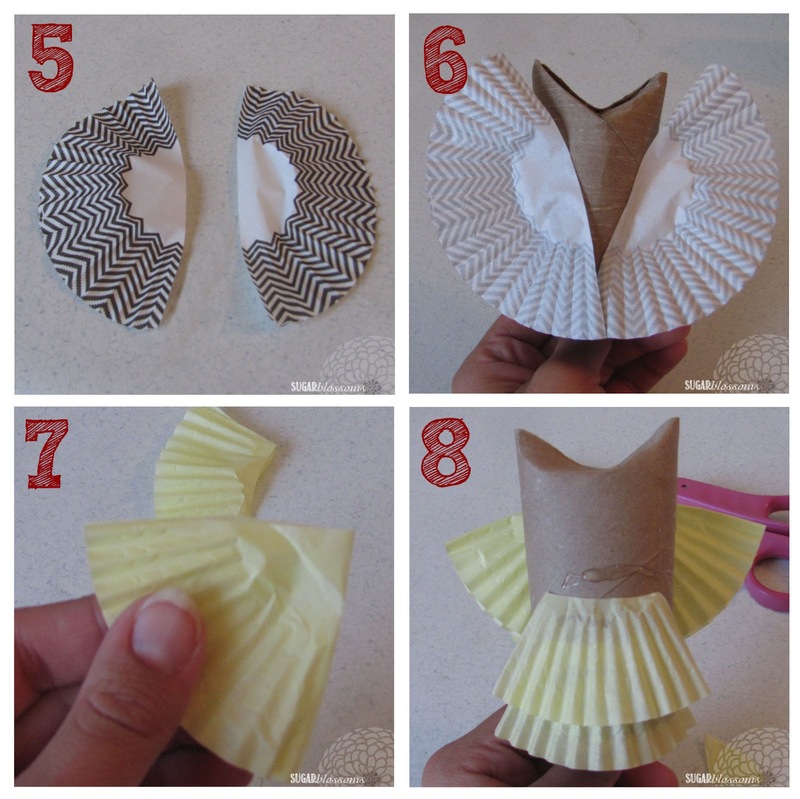 Trim off the flat base so only the ruffles remain. 8- Glue each ruffle, starting at the bottom of the tube, to cover the tube with “feathers”. Add eyes and a beak and Viola! This was originally posted on East Valley Mom Guide. Deseret Industries is both a nonprofit, vocational rehabilitation facility as well as a thrift store. You never know what you’ll find at DI — each store has a large selection that is restocked every day. Go often for the best selection! We saw lots of families getting the most bang for their buck for the new school year! The Deseret Industries is a great back to school destination: they have a wide variety of new and like-new children’s clothes (including designer brands), backpacks shoes and more. You can easily put together an entire outfit for under $10. We love the ease of their donation drop-off, too! If your children have clothes and/or other items they’ve outgrown, consider donating them to Deseret Industries. Donations are tax deductible and help your community by providing job training for associates. Donated items can find new life with other families, like mine! The LDS Employment services are on-site to help job seekers find the perfect place for their talents. They have connections in various areas of industry. Easiest job search ever! The Stud joined me to shop around and we had so much fun! It's like a scavenger hunt for the best deals and coolest products! We picked up a couple of 'new' board games for our weekly family night. And some speakers for blasting killer tunes for Saturday morning chores. I even got myself some T-FAL pots and pans that cook like a dream! They're clean, friendly, organized and affordable. That's my kind of store! I'm SO glad we went to DI's! Visit their newest Valley location at 6825 W Bell Rd, Glendale, AZ 85308. My friend Courtney has released a new scenic music video called “STOWAWAY” and you have to see it! 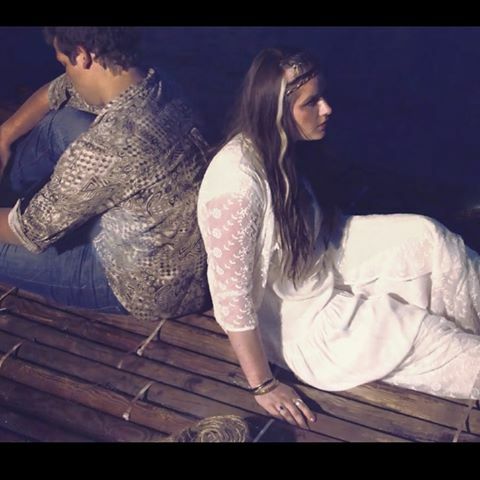 Phoenix, AZ singer-songwriter, Courtney Cotter King, released a single and music video today, Friday, July 1st, 2016, entitled "Stowaway". It is available on Youtube, iTunes, other distributor outlets and on www.courtneycotterking.com. Be the front line of this news-worthy release! Have you ever had a past love return to your thoughts? Anyone who has experienced a parting of ways with someone they once loved, understands that walking away doesn’t necessarily mean their past love has disappeared from thought. This strongly symbolic song tells the tale of a “stowaway” who’s hidden as a passenger in this woman’s mind, and as much as she’s trying to sail away to be free of him, he won’t leave. Make sure to watch the artistic video, shot on a desert oasis lake, to find out what happens! Courtney Cotter King was born with a piano as an appendage, and is inevitably attached to the keys. A raw talent, with smooth vocals and lyrics beyond her years, Courtney commands a room with merit for listening. Courtney’s artistry at the piano drives her songs with a compliment of strings and agile vocals that shoot straight to the soul in a masterful blend of indie and jazz influences. Her other works include; Fervor Records release "Rooftops" in November 2013, independently released “Home I Roam” in 2011 and her single dedicated to parents of children with special needs, "For the Better" on May 5th, 2015. Between getting the kids ready, navigating a career, and trying to find a moment to relax, it can be especially hectic for you as a mom. So why not simplify your life by investing in a storage unit? 1 - They want to simplify their morning. You can use a storage unit to streamline your morning routine. Clear clutter in the kitchen by relocating the kitchen tools you may not necessarily use for the family. Things like a fondue set or espresso machine can be stored away today and returned to the kitchen later (when the kids have grown and left). Minimize the toys that take over your living room, store seasonal clothes or nudge your husband to finally relocate his recreation vehicles. 2 - They want to grow their family. 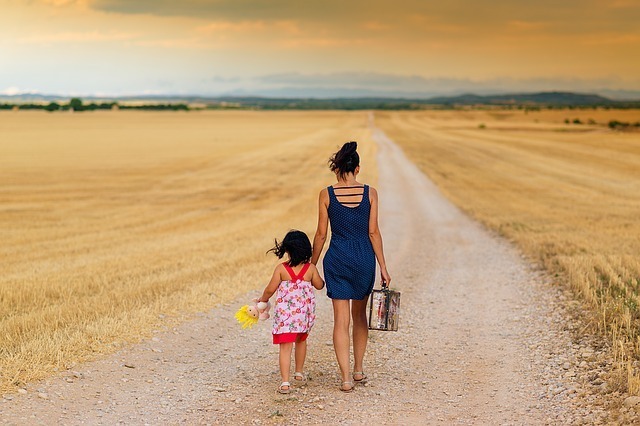 If you and your significant other plan to have another child (but aren’t interested in buying a bigger home), a storage unit can support your family through the transition. You can easily make room for a nursery by clearing out a guest bedroom or home office and keeping the items in storage. Or maybe you don’t want another baby right now, but also aren’t ready to give away the baby clothes and toys. You can keep these items safe and easy to access by storing them in your storage unit. 3 - They want to renovate the house. 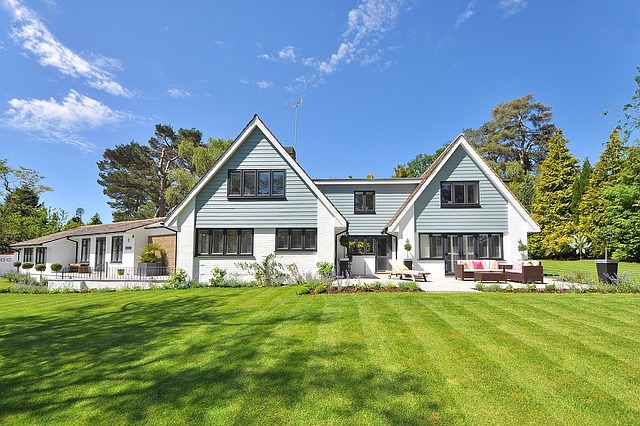 Renovating your home can be a stressful process, especially when you have a family. You may be wondering, “Where will I keep furniture and my family’s things while I rehab?” The answer is storing it in a climate-controlled unit. Keep bulky items and fragile possessions safe and out-of-the-way by temporarily relocating them to your storage unit while you renovate. Ready to use storage for your family? If you’re interested in simplifying life with a storage unit, you can start by finding out how much space you would need. Use our space estimator tool and don’t worry if you over or under estimate. Our flexible month-to-month leasing makes it easy to upgrade or downgrade at anytime without breaking a contract. Have any other questions? You can use our contact page or visit one of our 11 facilities in Scottsdale, Glendale, Cave Creek and Peoria to speak to a friendly, storage expert. Check our Facebook and Twitter pages often for tips and info. What will YOU store at Desert Storage? 1 -Sunsplash! 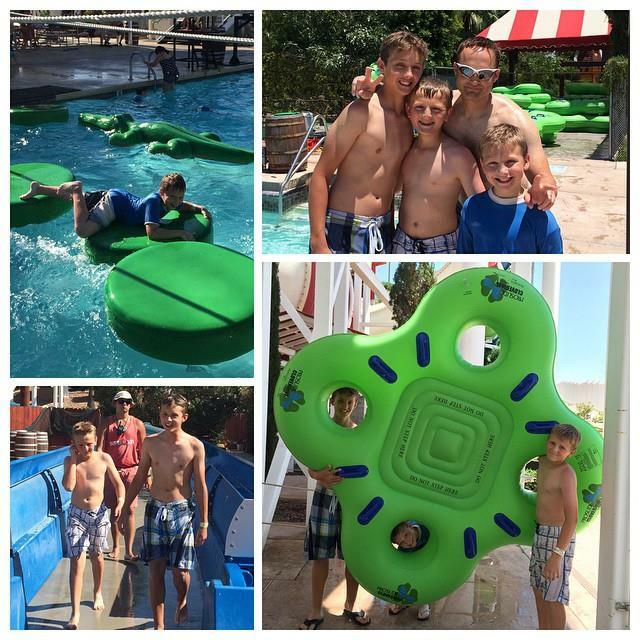 We all need a way to cool down this summer and Sunsplash is the perfect way to do it! Every Pogo Pass holder receives one FREE admission to Sunsplash Water Park which is a $30 value for adults and $20 for kids. Go to Sunsplash and one other Pogo Pass venue, and the pass has already paid for itself ($40 with discount) making everything else FREE! 2 - Indoor Fun! 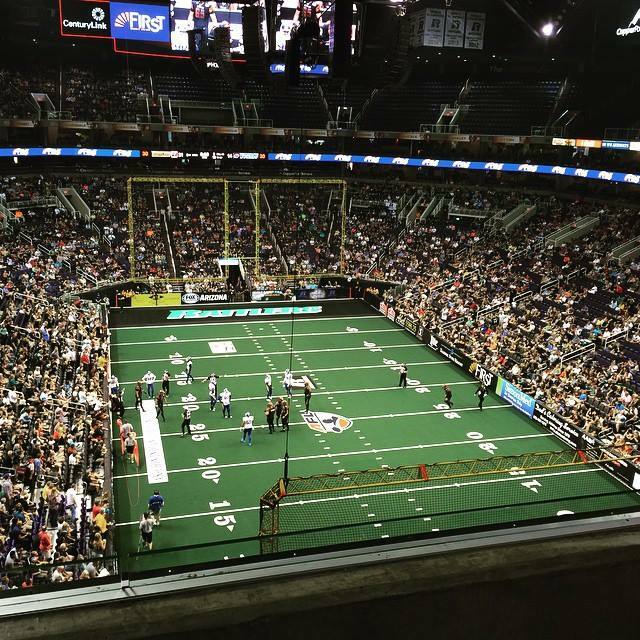 Check out all the indoor venues that will keep you and your kids having fun and out of the sweltering heat. 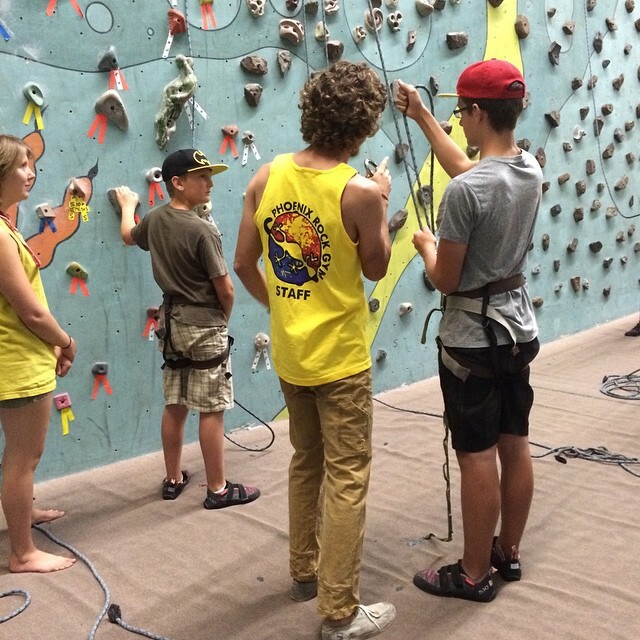 Go skating at Skateland for free every month, or do some laser tag, climb the rock wall at the Play Factory, or create crafts at the IDEA Museum. 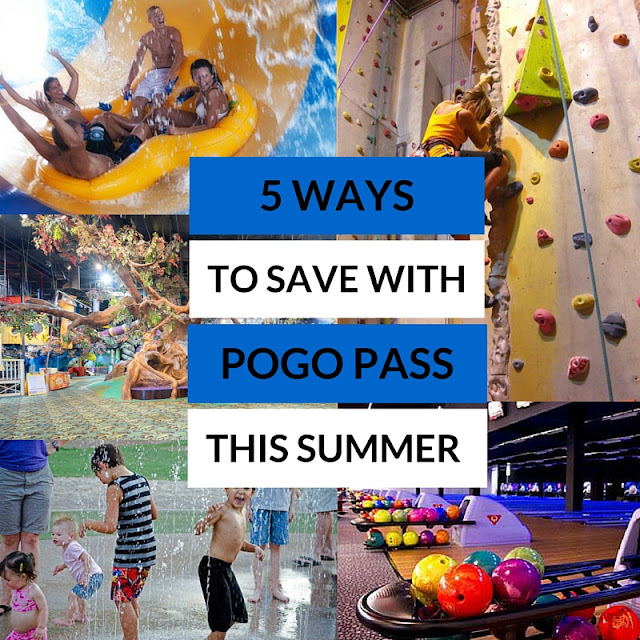 You won’t run out of air conditioned venues this summer with your Pogo Pass. 3 - Date Nights! The kids shouldn’t be the only ones having fun this summer! Get out of the house with your spouse and have some FREE fun with the Pogo Pass. 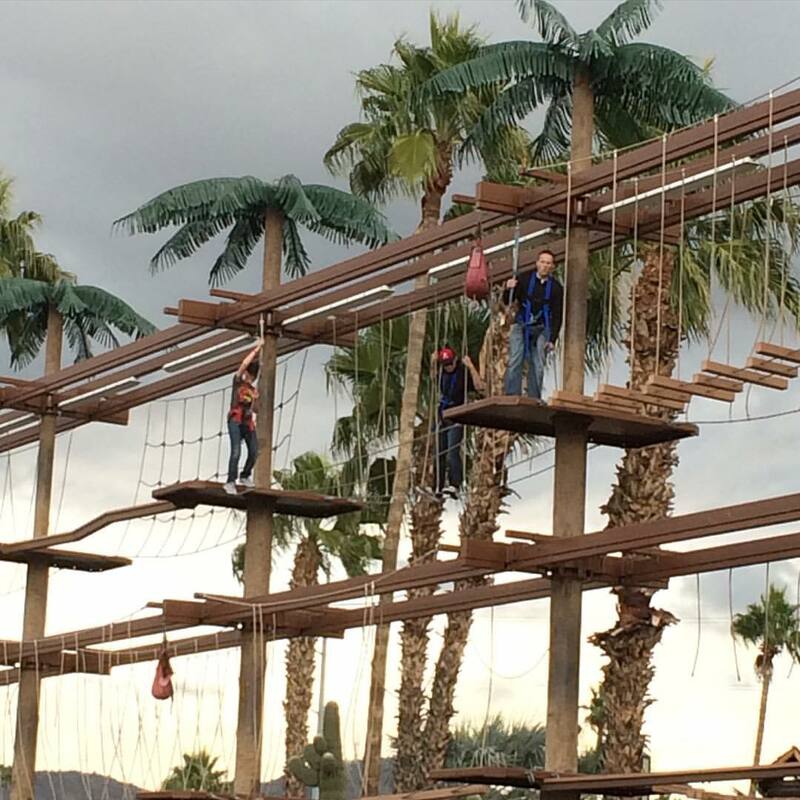 Skip the usual movie and go rock climbing for FREE at the Phoenix Rock Gym, enjoy some fun competition with a game of paintball, or have a blast riding rides at Castles N’ Coasters. 4 - Birthdays! Do you have any summer birthdays? 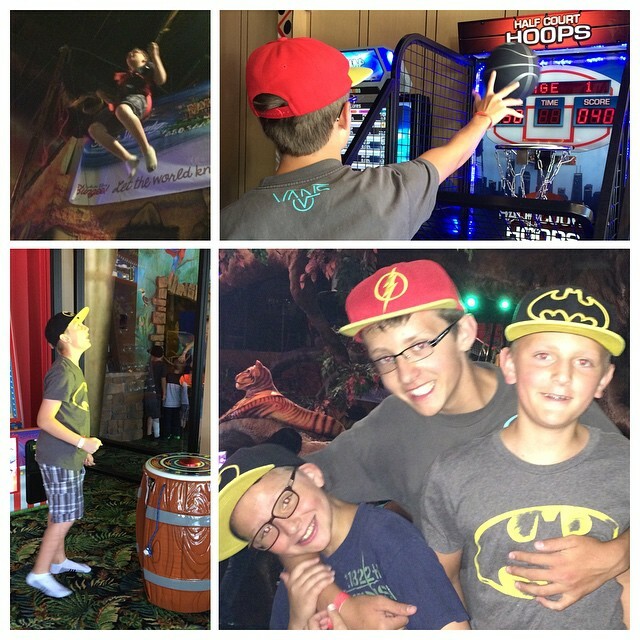 Want to treat your kids and visit a fun place on their special day? Use the Pogo Pass and get in free at Makutu’s Island or Enchanted Island. Maybe they’d like to do bowling or glow golf for their birthday activity. There are so many options that are sure to please any child. *Passes are recommended for ages 2 and older as that is when most venues begin charging admission. *Once purchased online, your Pogo Pass is available to use immediately. *To use your pass, just log into your account and bring up your pass on smart phone or print off pass and show at venue and they will scan it. Some venues require pre-registration. * All admissions are FREE, not discounted, FREE! Each Pogo Pass is valued at over $1000! Get yours for ONLY $40 with promo code AZBLOSSOM. The 2nd Annual Out West Balloon Fest! This Friday, Saturday and Sunday you and your family can enjoy an up close experience with these beautiful hot air balloons. My family went last year and loved it! 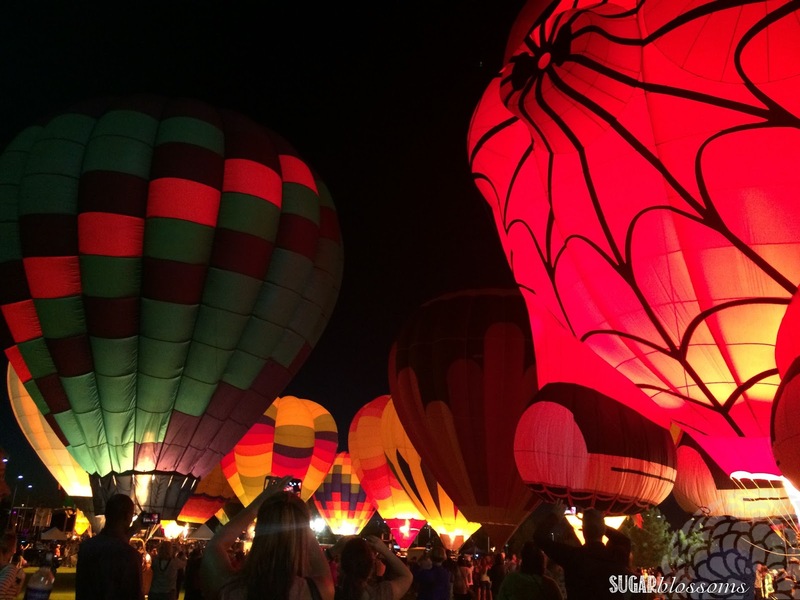 take in an evening filled with the soft lights of the Balloon Glow. There's food and fun for the whole family and YOU can join the fun FOR FREE! (see schedule of events HERE)! 1 - Follow me on Instagram and comment about this giveaway. 2 - Like my Facebook page and comment about this giveaway. There will be 2 winners so tell your friends! LET'S PLAY at THE OUT WEST BALLOON FEST! 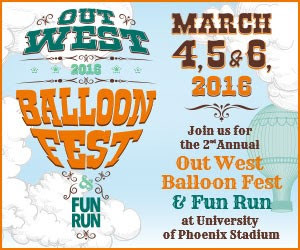 50 hot air balloons will decorate the sky at the 2nd annual Out West Balloon Fest and Fun Run, Featuring the G1GABLAST Fun Run benefiting Cox Charities at the University of Phoenix in Glendale, Ariz. on March, 4, 5 and 6 2016. This event will be the largest balloon race in Arizona where pilots will be competing for the Arizona State Champion title. Spectators will witness the launch and landing of the most beautiful vehicles in the sky and partake in a weekend full of special activities to keep the whole family entertained. “It not only generates a competitive edge for our balloon pilots, but it’s a magnificent site to see by spectators,” said Vanessa Clifton, owner of Aerial Solutions, LLC, event operators for the Out West Balloon Fest. This year, the stadium will not only allow spectators to watch balloons launch each morning, but will also be able to watch them fly toward the spectator field and watch them glow on Friday and Saturday evenings. After each morning mass ascension, the Prescott Regulators and their Shady Ladies will be putting on one of the best gunfighter shows in the Southwest. Other activities include tethered balloon rides, a kids zone, a 5k Fun Run (Saturday morning only), live music and much more. The G1GABLAST Fun Run benefiting Cox Charities is happening Saturday, March 5. Runners will be following a course that will wrap around University of Phoenix Stadium. As they run they will have the unique opportunity to watch balloons launch into the sky and cheer them on from above. Each runner will have a chance to race across the one and only hot air balloon finish line in Arizona. The day of the event, race packet pick up will be from 6 – 6:45 a.m. The run will start promptly at 7 a.m. and the balloons will launch shortly after. Runners can register at outwestballoonfest.com. Registration is $30 and includes a t-shirt, racing bib, a medal and admission to the Out West Balloon Fest Glow on Saturday night, March 5. All proceeds from the Fun Run will benefit Cox Charities. Cox Charities will also be raffling off an iPad Pro to a lucky runner. Winner does not need to be present to win. On Friday and Saturday evening, bring the family out and enjoy special activities including live entertainment, music, a special kids zone and of course more than 30 balloons on the ground lighting up the night. Bring your appetite because on the ground attendees will find dozens of food and novelty vendors, wine and craft beer tastings and opportunities to mingle with the balloon pilots. Evening: $11 adult, $4 child. Combo tickets for both the morning and evening event can be purchase for $15, adult and $4, child. *Events subject to change based on weather. ***Some activities require an additional fee. Please visit the website at www.outwestballoonfest.com for more information. STAY TUNED FOR A FUN GIVEAWAY! !